Conveniently located in the North Dallas business corridor in the upscale shopping and entertainment district, the DoubleTree offers spacious accommodations, impeccable service and top-notch business facilities. The DoubleTree by Hilton Dallas-Farmers Branch has a great deal more to offer than just a great location. Every stay begins with a warm DoubleTree welcome, including a freshly baked chocolate chip cookie. It’s part of what sets DoubleTree by Hilton Dallas-Farmers Branch apart. With over 3,225 square feet of flexible meeting/banquet space, the hotel can accommodate any size group from 6 to 200. Enjoy a refreshing swim in our beautifully landscaped pool overlooking the 120-acre lake at Las Colinas Crossing. Work out the tensions of the day in our state-of-the-art exercise room, or go for a run on our lakeside jogging trail. Located at the southwest corner of Luna Road and I-635, The DoubleTree by Hilton Dallas-Farmers Branch is a prime place to stay for business and pleasure. Guests can select one of 91 rooms with a city view or one of the 69 rooms with a lake view and walking balconies. 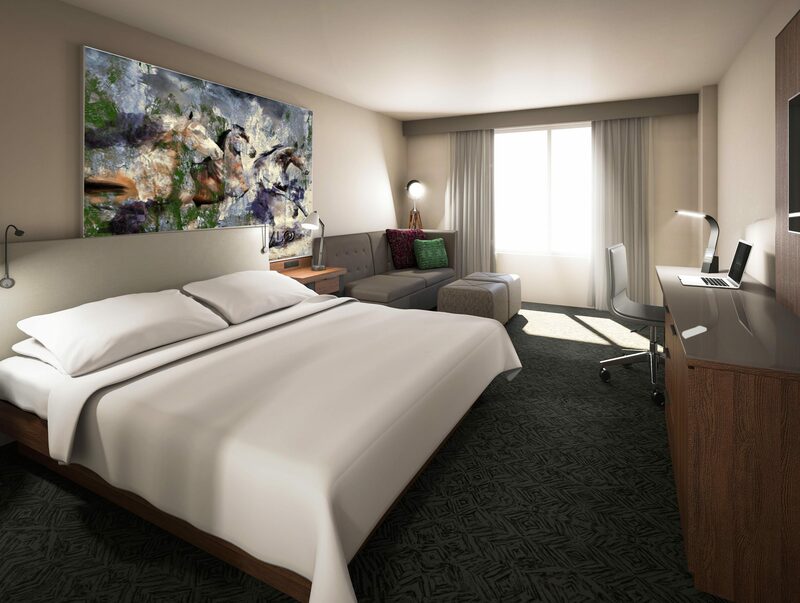 In all, 160 appointed guest rooms each have a spacious work desk, ergonomic chair, task lighting, two dual-line phones with data ports, voice mail, coffee maker, hair dryer, iron with full-size ironing board and cable TV. Enjoy our delectable selections for breakfast, lunch and dinner at our full-service restaurant, or end the day at our relaxing lobby lounge, featuring a pool table in our Club Room. The DoubleTree by Hilton Dallas-Farmers Branch offers a variety of services for the consummate business traveler. Outside of a room designed with the business traveler in mind, the hotel also has a 24-hour Business Center complete with laser printers, fax machines, photocopiers, office supplies, and a Federal Express Shipping Center. This business center allows guests to make copies, send faxes and print documents any time of day. Flexible meeting spaces provide private mini offices and small conference rooms that accommodate group meetings of 6 to 10 people. In addition, the hotel has over 3,000 square feet in flexible meeting space. Our professionally trained staff also lends expert assistance to planning and coordinating menus, catering services and audio/visual set-up for all types of meetings, banquets and social events.